I am lecturer of Pavement Engineering Materials. 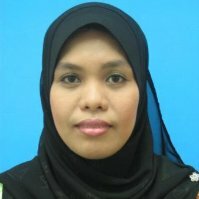 After completing my Bachelor degree in Civil Engineering at the Universiti Teknologi Malaysia (UTM) in 2005, I joined the Faculty of Civil Engineering, (UTM) as an academic staff. Then I completed Master degree in Civil Engineering (Highway and Transportation) at UTM in 2007. I recently completed my PhD in Civil Engineering (November, 2012) at Nottingham Transportation Engineering Centre (NTEC), University of Nottingham, United Kingdom specializing in pavement materials under the supervision of Prof Gordon Airey. Currently I am responsible for teaching the subject of highway engineering and also being appointed as the Head of the Transportation Laboratory at the Faculty of Civil Engineering, UTM. Details about the things I do can be found on the other templates. Click on one of the highlighted references to see more. Please do not hesitate to contact me!